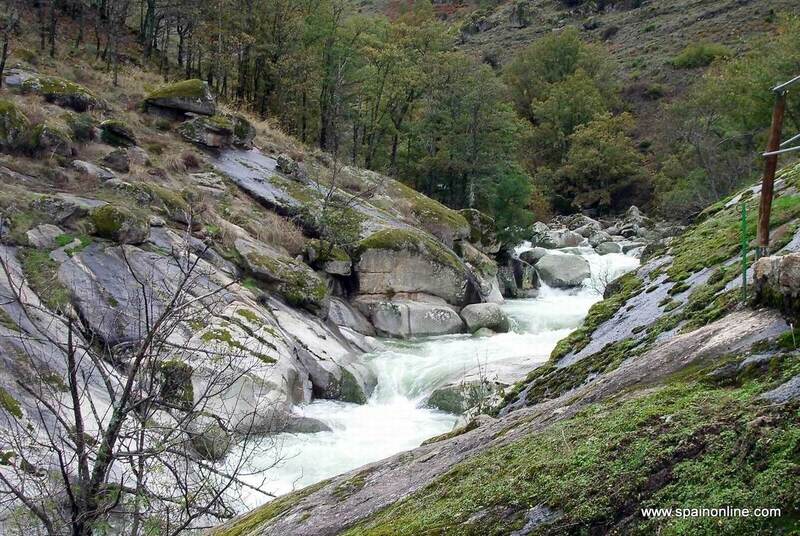 The countryside of Extremadura is crossed by two great rivers which have been used to create many reservoirs and lakes. This has produced great beauty, but also a haven for wildlife and habitats, many that have been under threat. This environment can be appreciated in the nature reserve of Garganta de lot Infiernos, in the Sierras of San Pedro and Hornacho and in the Parks of Monfrague, Sierra Bermeja and Cornalvo. A different experience will be found in the mines of Jayona. Such outstanding natural resources lend themselves to the practice of every kind of sport such as walking, hiking, mountaineering, fishing and hunting. Water sports can make good use of the reservoirs and lakes like the one at Garcia Sola in Castilblanco. Bird watchers are in heaven in Monfrague. The terrain offers splendid opportunities for – mountain-biking, rock climbing around Badejoz, caving in Castanar, and horse-riding throughout the region. The richness of the heritage to be found here is due to two factors. First, over the centuries there have been so many peoples that have brought their own traditions and skills. Secondly, the monuments they left behind were of the highest artistic merit and craftsmanship, so residents and visitors can still enjoy them, even today. For example, the centre of Casceres is one of the most complete and finest preserved examples of a medieval towncentre anywhere in Europe. Of similar importance are the monastery of Santa Maria of Guadalupe and the extensive roman remains at Merida, which have earned the city recognition from UNESCO as of world heritage importance. Hardly less outstanding are the military, civil and religious building that grace the historical towns of Trujillo, Badejoz, Zafra, Plasencia and Jerez de los Caballeros. Fine examples of this architecture include: the plateresque-gothic cathedral of Plasencia; the castle and walls of Trujillo and the Moorish Alcazar of Badejoz. The festivals and fairs of all the cities, towns and hamlets of Extremadura give a good insight into the character and temperament of its people. Special mention much be made of Los Escobazos in the Vera district of Caceres and La Encamisa in Torrejoncillo in high Extremadura. Also well worth seeing are the festivities of Easter, carnivals and the many romerias(local pilgrimages) and particular events like those of San Anton, Jarramplas, Carantonas, Candelas and Perpalo. vvThe cooking makes good use of locally home grown and reared products with a good variety of seasoning. Local specialities include: menestra de cardillo and borraja(a cardoon stew), el gratinado de ajo porro(fried garlic and leek), les perdices estofadas(partridge), and la Serena cheese. Iberico pork is the base of many popular dishes. Finally, mention must be made of the traditional cheeses of Casar and los Ibores; the cherries of Jerte and the wines of Tierra de Barros. In the third century the Carthaginians subdued the indigenous people and controlled the region until the Romans took over and made it an important outpost of their empire, as the remains at Merida confirm. But the Roman retreat meant there was little resistance to the arrival of the Moors. However, they did resist and it required considerable military force before the kingdom of Castile had its way. Spain and Portugal disputed the territory and that was only resolved when Portugal accepted part of south America(Sacramento) in exchange. The region then suffered under various internal wars, and from the uninvited French, at a time when simply surviving in the unforgiving environment was difficult enough for most people. In 1978 Extremadura became an administrative region, prior to gaining full autonomy status in 1983. Extremadura is traversed by two principal roads. One running east-west links Madrid and Lisbon along the NV. The other goes south-north and links Andalucia with Asturias along the N630. Both roads have been, or are being, upgraded to motorway standard. The north-south road is of roman origin having been the old silver trading route for the peninsula. The region has an airport at Badejoz which has regular flights to Madrid and Barcelona. There are nearly one thousand kilometres of rail providing local services but also fast trains like the Talgo, and soon it will include AVE services from Ciudad Real. But to explore really everything the region has to offer would require the visitor to hire a car.